As nearly everyone in the United States knows, there are fifty states. Most also know that the country started with 13 states. In between those two numbers, a lot of states were proposed but never made the final cut for a variety of reasons. Some of them got voted on, some of them did not. Just a few examples are below. One of the earliest proposed states was Franklin. Franklin was one of the few non-states to have an actual functional government. The area is now part of southern Tennessee, although at the time of its creation the area belonged to North Carolina. Its petition for statehood never made it off the ground, and by 1788 the area was owned by North Carolina again. Many states have proposed the idea of splitting the state into two or more regions. One that has come up several times is the state of Superior, which consists of the upper peninsula of Michigan and possibly the northern region of the lower peninsula. The first time it was proposed was in 1858, but the movement for the new U.S. state continued until the mid-seventies. Currently no formal movement for the state exists. New York has had several separation movements. One proposal involved creating the state of Long Island and another involved making a separate state of western New York. Others want to secede from New York and join Pennsylvania. Vermont was once a part of New York before becoming a U.S. state of its own. Maine was also once part of Massachusetts. Others are just, well, jokes. 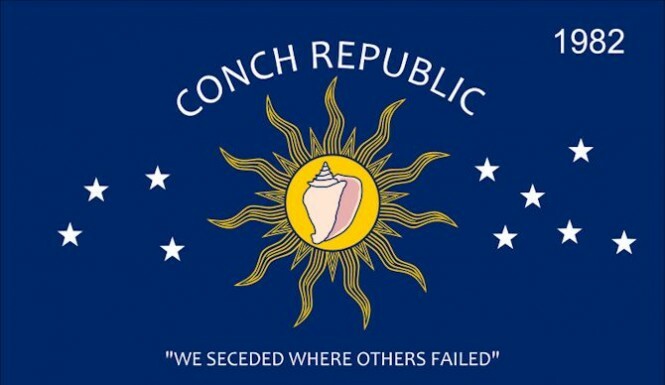 The Key West area of Florida jokingly seceded from Florida to create the Conch Republic in 1982. The cause was a roadblock in the area where Key West residents had to prove their citizenship to get to the mainland. Declaring this meant they weren’t United States citizens, the Conch Republic was declared on April 23. The news from it made tourism in Key West increase, so it’s been kept up until then. The city of Kinney in Minnesota had difficulty getting aid for their failing water system, so they decided it would be easier to get foreign aid instead of state aid and sent a secession notice in February of 1978. Passports were even made. All of the publicity from the declaration helped draw attention to the problem, so they won after all.